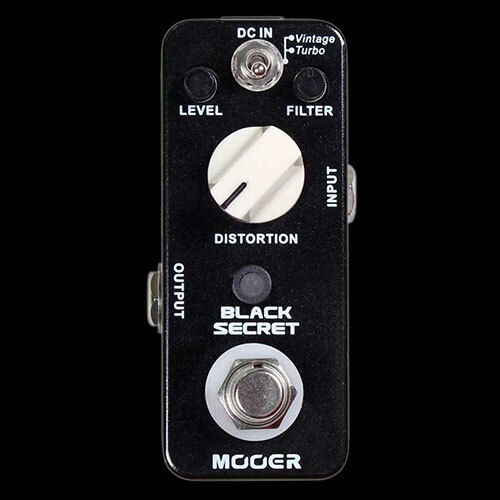 The Black Secret Distortion pedal captures the classic "Rat" tone made famous in the '70s and '80s. The pedal features two modes: Vintage and Turbo. Both modes are very different with vintage delivering a raspy thinner distortion that doesn't over power your tone. The Turbo mode on the other hand really thickens up the tone giving you a beefier modern sound. Power supply not included.